Sometimes when I middleclick on a Firefox link to open it in a new tab, I get an empty new tab. I hate that. Anyway, since there seems to be no way of making middleclick just do the sensible thing and open these links in a new tab like I asked, it, I can do something almost as good: a user stylesheet that warns me when I'm about to click on one of these special links. This rule changes the cursor to a crosshair, and turns the link bold with colors of red on yellow. Hard to miss! * except open an empty new tab that then has to be closed. * And the same for PDFs, for the same reason. * filename ends in .pdf. What about that crosshair cursor? Here are some of the cursors you can use: Mozilla's cursor documentation page. Don't trust the images on that page -- hover over each cursor to see what your actual browser shows. You can also warn about links that would open a new window or tab. If you prefer to keep control of that, rather than letting each web page designer decide for you where each link should open, you can control it with the browser.link.open newwindow preference. But whatever you do with that preference you can add a rule for a:hover[target="_blank"] to help you notice links that are likely to open in a new tab. You can even make these special links blink, with text-decoration: blink. Assuming you're not a curmudgeon like I am who disables blinking entirely by setting the "browser.blink_allowed" preference to false. Mostly the transition to Firefox4 has pretty smooth. But there's been one big hassle: middlemouse content load URL doesn't work as well as it used to. Middlemouse content load is a great Firefox feature on Linux and other Unix platforms. You see a URL somewhere that doesn't have clickable URLs -- say, a plaintext mail message, or something somebody typed in IRC. You highlight it with the mouse -- no need to Copy explicitly -- X does that automatically whenever you highlight text). Then move to the Firefox window and click the middle mouse button somewhere in the content window -- anywhere as long as it's not over a link or text input -- and Firefox goes straight to the URL you pasted. A few silly Linux distros, like Ubuntu, disable this feature by default. You can turn it back on by going to about:config, searching for middlemouse, and setting middlemouse.contentLoadURL to true. Except, in Firefox 4, much of the time nothing happens. In Firefox 4, contentLoadURL only works if the URL you pasted is a complete URL, like http://example.com. This is completely silly, because most of the time, if you had a complete URL, it would have been clickable already in whatever window you originally found it in. When you need contentLoadURL is when someone types "Go to example.com if you want to see this". 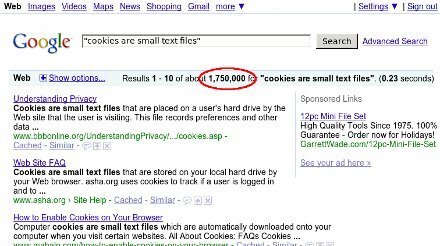 It's also great for when you get those horrible Facebook or Stumbleupon or Google URLs like http://www.facebook.com/l/bfd4f/example.com/somelink and you want just the real link (example.com/somelink), without the added cruft. Hooray! It turns out the offending code is in browser.js, so it's hackable without needing to recompile all of Firefox. You just need to unpack omni.jar, patch browser.js, then zip up a new omni.jar. Except, as I was testing this, I discovered: I could make changes and most of the time Firefox wouldn't see them. I would put in something obvious like alert("Hello, world");, verify that the alert was really in omni.jar, run Firefox, click the middle mouse button and -- no alert. Where was Firefox getting the code it was actually running, if not from omni.jar? I'll spare you the agonizing details of the hunt and just say that eventually I discovered that if I ran Firefox from a different profile on the same machine, I got a different result. It turns out that if you remove either of two files, extensions.sqlite and XUL.mfasl, Firefox4 will re-read the new code in omni.jar. Removing XUL.mfasl seems to be a little safer: extensions.sqlite contains some details of which extensions are enabled. Of course, back up both files first before experimenting with removing them. Why these files are keeping a cache of code that's already in omni.jar is anybody's guess. -    // Not a valid URI. Regular readers probably know that I use HTML for the slides in my talks, and I present them either with Firefox in fullscreen mode, or with my own Python preso tool based on webkit. Most of the time it works great. But there's one situation that's always been hard to deal with: low-resolution projectors. Most modern projectors are 1024x768, and have been for quite a few years, so that's how I set up my slides. And then I get asked to give a talk at a school, or local astronomy club, or some other group that has a 10-year-old projector that can only handle 800x600. Of course, you never find out about this ahead of time, only when you plug in right before the talk. Disaster! Wait -- before you object that HTML pages shouldn't use pixel values and should work regardless of the user's browser window size: I completely agree with you. I don't specify absolute font sizes or absolute positioning on web pages -- no one should. But presentation slides are different: they're designed for a controlled environment where everyone sees the same thing using the same software and hardware. I can maintain a separate stylesheet -- that works for making the font size smaller but it doesn't address the problem of pictures too large to fit (and we all like to use lots of pictures in presentations, right?) I can maintain two separate copies of the slides for the two sizes, but that's a lot of extra work and they're bound to get out of sync. Here's a solution I should have thought of years ago: full-page zoom. Most major browsers have offered that capability for years, so the only trick is figuring out how to specify it in the slides. 78.125% is the ratio between an 800-pixel projector and a 1024-pixel one. Just add this line, and your whole page will be scaled down to the right size. Lovely! The position: absolute is needed because when Firefox scales with -moz-transform, it also centers whatever it scaled, so the slide ends up in the top center of the screen. On my laptop, at least, it's the upper left part of the screen that gets sent to the projector, so slides must start in the upper left corner. Dave just discovered a useful preference in Firefox. So many pages give that annoying info bar at the top that says "Additional plugins are needed to view this page." It doesn't tell you which plugins, but for Linux users it's a safe bet that whatever they are, you can't get them. Why have the stupid nagbar taking up real estate on the page for something you can't do anything about? Displaying the info bar is the right thing for Firefox to do, of course. Some users may love to go traipsing off installing random plugins to make sure they see every annoying bit of animation and sound on a page. But Dave's excellent discovery was that the rest of us can turn off that bar. The preference is plugins.hide_infobar_for_missing_plugin and you can see it by going to about:config and typing missing. Then double-click the line, and you'll never see that nagbar again. I was reading a terrific article on the New York Times about Watching Whales Watching Us. At least, I was trying to read it -- but the NYT website forces font faces and sizes that, on my system, end up giving me a tiny font that's too small to read. Of course I can increase font size with Ctrl-+ -- but it gets old having to do that every time I load a NYT page. The first step was to get Greasemonkey working on Firefox 3.5. "Update scripts" doesn't find a new script, and if you go to Greasemonkey's home page, the last entry is from many months ago and announces Firefox 3.1 support. But curiously, if you go to the Greasemonkey page on the regular Mozilla add-ons site, it does support 3.5. I've had Greasemonkey for quite some time, but every time I try to get started writing a script I have trouble getting started. There are dozens of Greasemonkey tutorials on the web, but most of them are oriented toward installing scripts and don't address "What do you type into the fields of the Greasemonkey New User Script dialog?" Fortunately, I did find one that explained it: The beginner's guide to Greasemonkey scripting. I gave my script a name (NYT font) and a namespace (my own domain), added http://*nytimes.com/* for Includes, and nothing for Excludes. Click OK, and Greasemonkey offers a "choose editor" dialog. I chose emacs, which mostly worked though the emacs window unaccountably came up with a split window that I had to dismiss with C-x 1. Now what to type in the editor? Firebug came to the rescue here. 84.5%? Where does that come from? What happens if I change that to 100%? Fortunately, I can test that right there in the Firebug window. 100% made the fonts fairly huge, but 90% was about right. Saved the file, and that was all I needed! Once I hit Reload on the NYT page I got a much more readable font size. 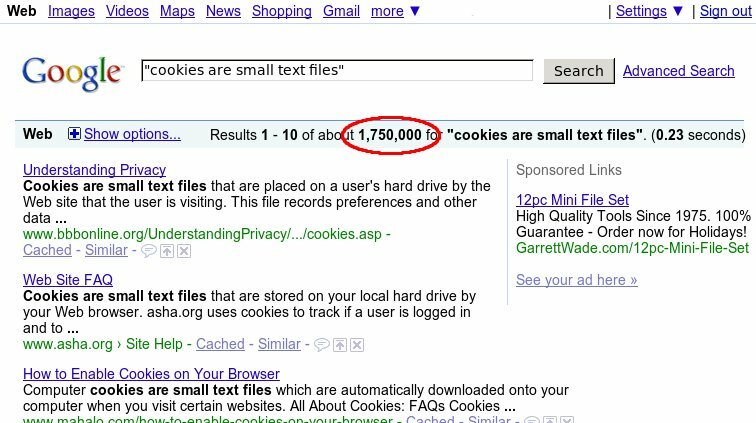 Lots has been written about Bing, Microsoft's new search engine. It's better than Google, it's worse than Google, it'll never catch up to Google. Farhad Manjoo of Slate had perhaps the best reason to use Bing: "If you switch, Google's going to do some awesome things to try to win you back." 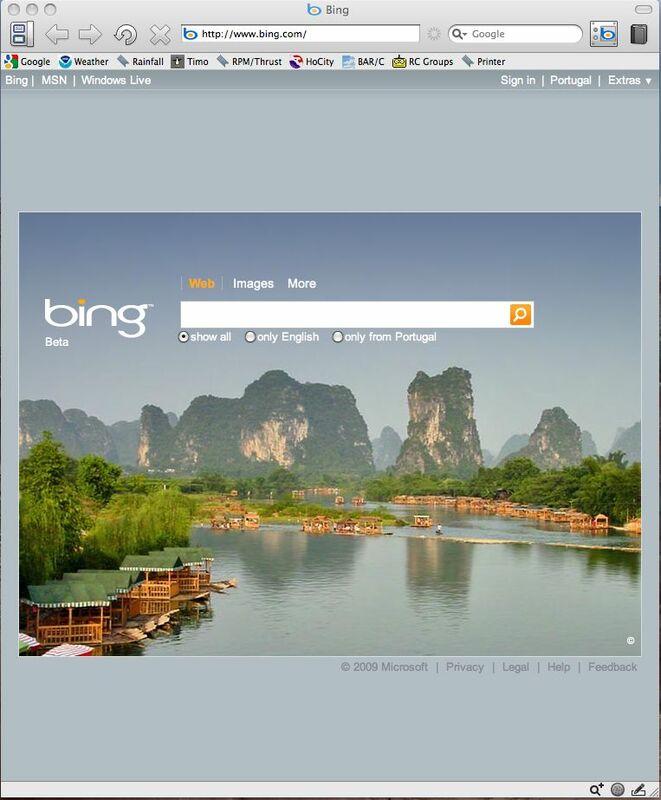 But what I want to know about Bing is this: Why does it think we're in Portugal when Dave runs it under Omniweb on Mac? In every other browser it gives the screen you've probably seen, with side menus (and a horizontal scrollbar if your window isn't wide enough, ugh) and some sort of pretty picture as a background. In Omniweb, you get a cleaner layout with no sidebars or horizontal scrollbars, a different pretty picture -- often prettier than the one you get on all the other browsers, though both images change daily -- and a set of togglebuttons that don't show up in any of the other browsers, letting you restrict results to only English or only results from Portugal. Why does it think we're in Portugal when Dave uses Omniweb? Equally puzzling, why do only people in Portugal have the option of restricting the results to English only? An interesting occurrence at a Toastmasters meeting last week offered a lesson in the difficulties of writing or speaking about technology. The member who was running Table Topics had an interesting project planned: "Bookmarks". I thought, things you put in books to mark your place? Then I saw the three-page printout he had brought and realized that, duh, of course, he means browser bookmarks. The task, he explained, was to scan his eclectic list of bookmarks, pick three, and tell a story about them. Members reacted with confusion. Several of them said they didn't understand what he meant at all. Would he give an example? So he chose three and gave a short demonstration speech. But the members still looked confused. He said if they wanted to pick just one, that would be okay. Nobody looked relieved. We did a couple rounds. I gave a rambling tale that incorporated three or four bookmarks. One of our newer members took the list, and wove a spirited story that used at least five (she eventually won the day's Best Table Topic ribbon). Then the bookmark list passed to one of the members who had expressed confusion. She stared at the list, obviously baffled. "I still don't understand. What do they have to do with bookmarks?" "Browser bookmarks," I clarified, and a couple of other people chimed in on that theme, but it obviously wasn't helping. Several other members crowded around to get a look at the list. Brows furrowed. Voices murmured. Then one of them looked up. "Are these like ... Favorites?" There was a immediate chorus of "Favorites?" "Oh, like in an Explorer window?" "You mean like on the Internet?" "Ohhh, I think I get it ..." Things improved from there. I don't think the member who presented this project had any idea that a lot of people wouldn't understand the term "Bookmark", as it applies to a list of commonly-visited sites in a browser. Nor did I. I was momentarily confused thinking me meant the other kind of bookmark (the original kind, for paper books), but realizing that he meant browser bookmarks cleared it right up for me. A bigger surprise to me was that the word "browser" wasn't any help to half the membership -- none of them understood what a "browser" was any more than they knew what a "bookmark" was. "Like in an Explorer window?" or "on the internet" was the closest they got to the concept that they were running a specific program called a web browser. These aren't stupid people; they just don't use computers much, and haven't ever learned the terminology for some of the programs they use or the actions they take. When you're still learning something, you fumble around, sometimes getting where you need to go be accident; you don't always know how you got there, much less the terms describing the steps you took. Even if you're an übergeek, I'm sure you have programs where you fumble about and aren't quite sure how you get from A to B. You may sometimes be surprised at meeting people who still use Internet Explorer and haven't tried Firefox, let alone Opera. You may wonder if it's the difficulty of downloading and installing software that stops them. But the truth may be that questions like "Have you tried Firefox?" don't really mean anything to a lot of people; they're not really aware that they're using Internet Explorer in the first place. It's just a window they've managed to open to show stuff on the internet. Avoiding technical jargon is sometimes harder than you think. Seemingly basic concepts are not so basic as they seem; terms you think are universal turn out not to be. You have to be careful with terminology if you to be understood ... and probably the only way to know for sure if you're using jargon is to try out your language on an assortment of people.